With the opening of the Santa Anita winter meeting this week, I thought it might be a good time to analyze the Great Race Place — what kind of horses win there and what kind of horses don’t. 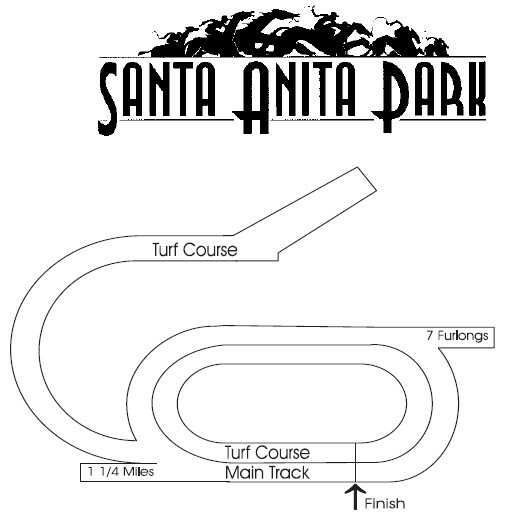 In a word, the name of the game at Santa Anita since the Pro-Ride surface was removed is speed — as in early and blazing. As you can see, the advantage of early speed on the dirt is pronounced, with over a third of those races won in gate-to-wire fashion — despite the fact that the average winning early speed ration (ESR) is healthy in both cases. So, when looking for winners at Santa Anita this winter, insist on horses that can be in the mix early. If recent history is any guide, many of those horses will be around late as well. Accepting that the borrower has satisfied each criteria expressed by the advance supplier, the no check payday advance would be endorsed in the blink of an eye. Are you annoyed of attractive at your anachronous kitchen but can't allow the amount of a kitchen renovation queens abounding kitchen remodel? Here are several tips to admonition you animation new activity into your kitchen after breaking the bank. Technology makes people more conscious and informative about the modern world.Technology gives people the whole world in their hand. Technology has developed different software, video game apps and TV consumer apps much better than old days.Nowadays, technology also has developed most entertainment device,TV.Every day people are checking TV price drop alert for their courtesy through technology.